It is important to me that I end this year on a positive note. Readers know that I am not very angry, and sometimes a little too nice but the fact is that I sometimes get lumped in with the collectors who are miserable for the sake of being miserable. That is not the case. I just want what it best for the hobby like everyone else. Moving on, by now, a lot of you know my feelings about mystery lots. Heck, all my giveaways are ‘misery packs.’ Well this isn’t the case. 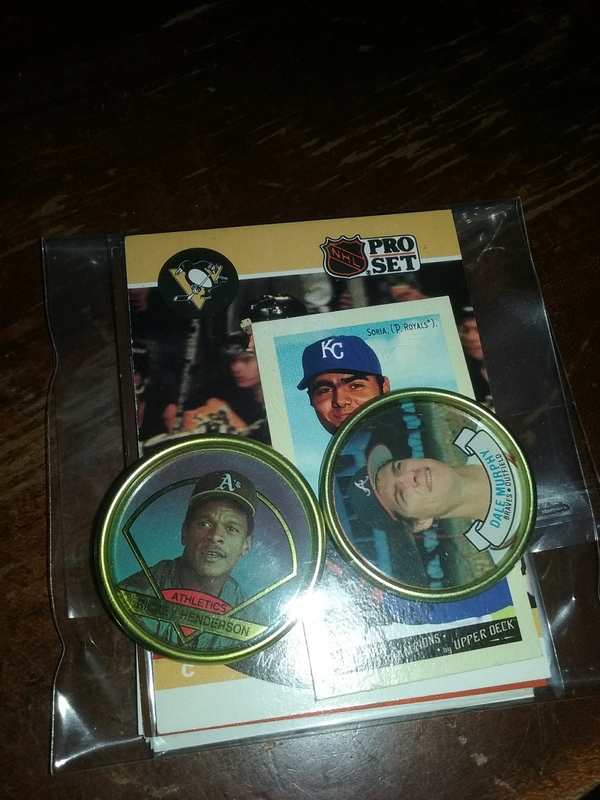 I recently picked up a mystery lot for $9 on Ebay. I got very lucky. 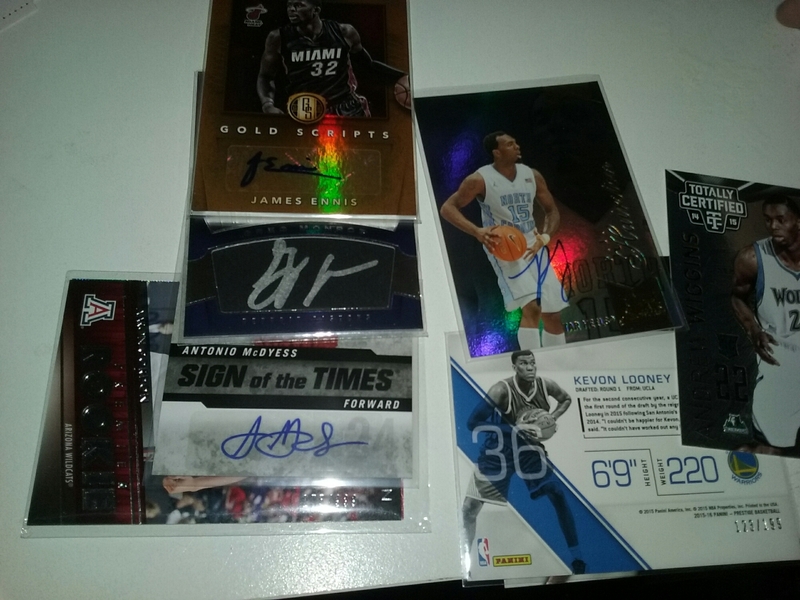 The seller posted a picture of all the cards but didn’t list them in the description. I only found out about because he was selling a different card that I wanted. I only cared because it had a card that I really wanted. I basically paid the maximum of what I would’ve paid for that card and got a bunch of candy. 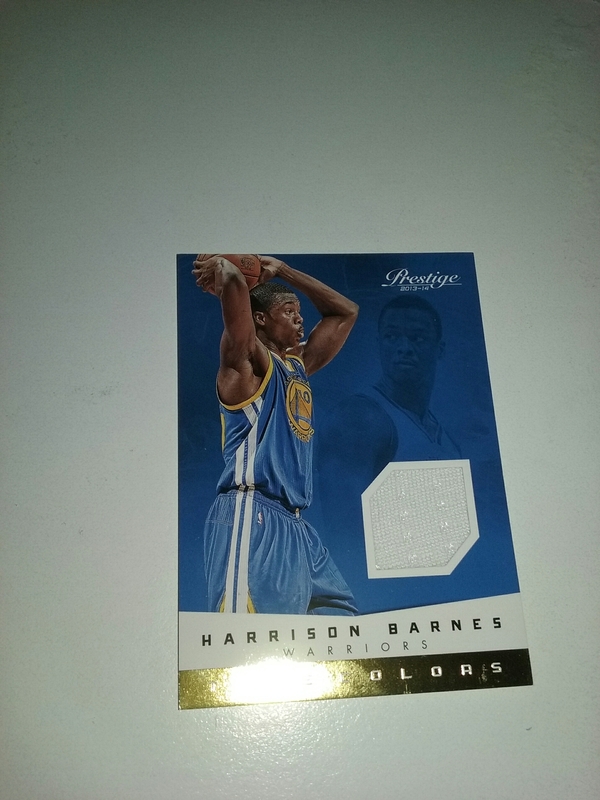 The card that I wanted: Harrison Barnes True Colors from Prestige. 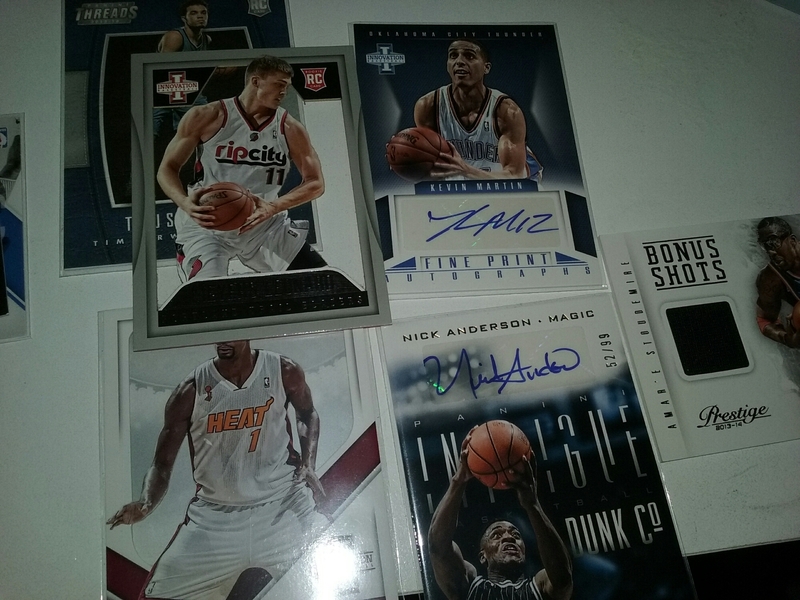 Kevin Martin and Nick Anderson autograph. Greg Monroe and Antonio McDyess autograph. 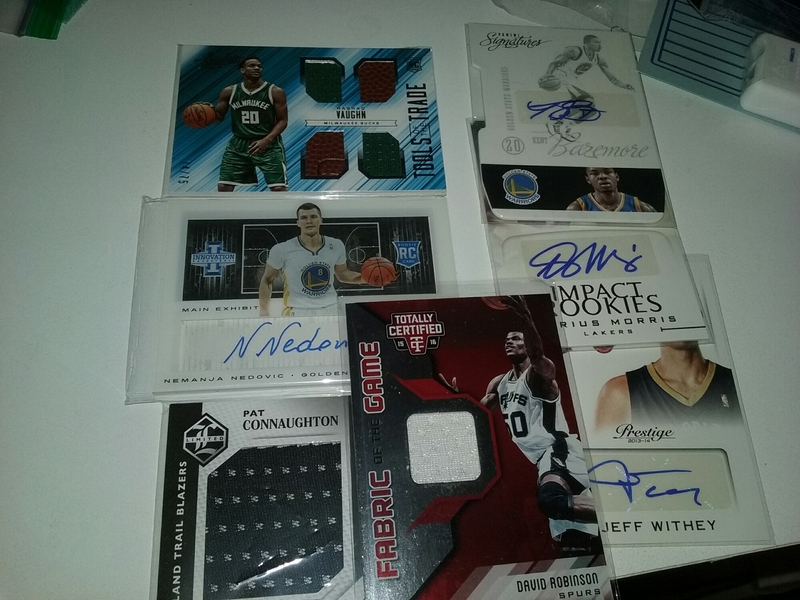 A bunch of numbered rookies. David Robinson jersey and Kent Bazemore autograph. If you Retweet the Twitter link generated from this post, you are entered to win the ‘Misery Pack’ below. I will end the contest on the 4th of January, 2017. I will even post the link in this post, after it is generated to make it easy for you.